Private and business travelers alike will find the perfect place for their stay at the Mercure Panorama Freiburg. Right on the edge of the forest above the rooftops of Freiburg, the 4-star superior hotel is the perfect location for exploring the region. A restaurant, bar, spacious terraces and a swimming pool and sauna area offer pure indulgence and relaxation. The lavish buffet breakfast with sparkling wine and 4 events rooms for private and business events complete the offering. For every taste, and whether your appetite is large or small, our kitchen team in the "Chez Eric" restaurant will conjure up exciting flavor combinations - always with a keen understanding of the world of fresh ingredients, herbs and fine spices. At the 4-star Superior Mercure Hotel Panorama Freiburg, you can choose between Standard and Superior Rooms. 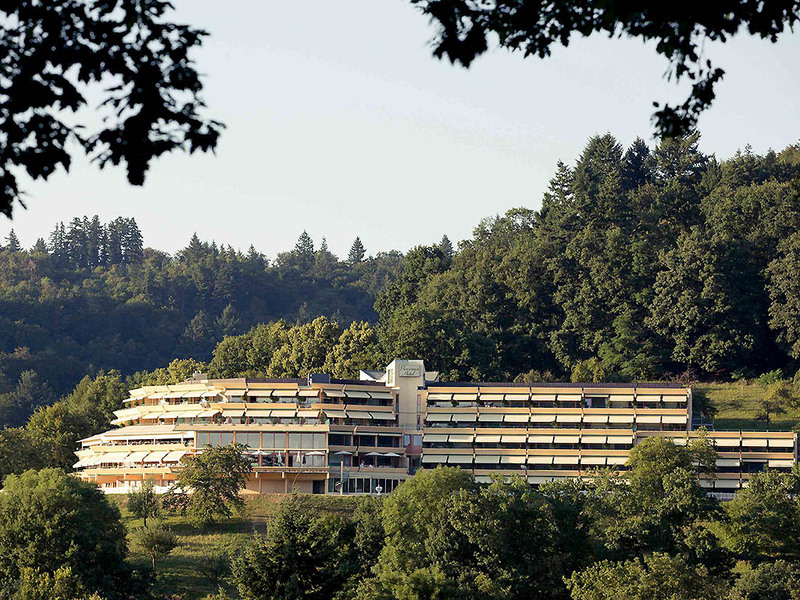 All 86 rooms are air-conditioned and some feature a side view of Freiburg, while others have a direct view of the city. When the weather is nice you can enjoy the beautiful view over the rooftops of Freiburg from our extensive terrace. 위치 전망, 직원 서비스 좋으나 객실 내부의 인터넷 접근이 어려움. 유선 인터넷이 없으며 와이파이 통신 신호가 미약함.